I have loved Michael Crichton’s dinosaur stories for quite some time. Reading The Lost World as a twelve-year old was thrilling, and following it up by reading the original story was likewise engrossing. I still think I have read the books more times than I’ve seen the films. When we were in America one year, for sixth grade, I wanted desperately to see Spielberg’s new movie, The Lost World: Jurassic Park. There was a copy at the library and I can recall sitting down with my dad to watch it. The story turned out to be different than I had expected from reading the novel, and somewhat more jerky and black-and-white. It was still engaging, even if it turned out to be the 1925 adaptation of Sir Arthur Conan Doyle’s The Lost World (it’s a good thing it wasn’t the 1960 atrocity bearing the same title [review here]). I’ve always been drawn to tales of adventurers and survivors. I particularly enjoyed the stories of Alistair MacLean, and any story in which a small band of people must defend themselves against outside forces, oftentimes monsters or scary creatures. I even wrote an entirely original novel as a 14-year old entitled Arachnid Island, in which a remote island becomes overrun with genetically mutated spiders. I say all this to point out how influential and important Jurassic Park and Michael Crichton’s novels have been in my life. 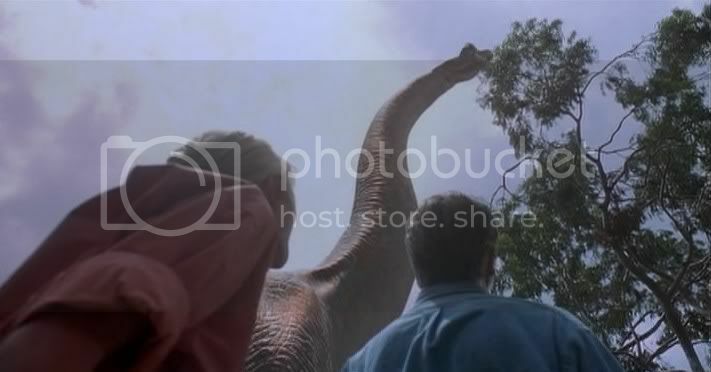 When I finally had the chance to watch Jurassic Park the experience was wonderful; I could finally see the living, breathing dinosaurs in person. As the years have passed I have still enjoyed the film, though some of its flaws have started to invade the barrier of nostalgia I have erected. The story remains simple and effective. The very rich John Hammond (Richard Attenborough) has decided to create dinosaurs from the DNA found in prehistoric mosquitoes that have been preserved in amber. His goal is to provide a giant playground for kids of all ages to experience the wonders of watching these behemoths stroll the earth once more. But safety issues mean that a group of specialists must be called in to examine the park. Dr. Grant (Sam Neill) and Dr. Sattler (Laura Dern), a paleontologist and paleobotanist, respectively, are the so-called dino-experts. They have spent their lives looking at fossilized bones and flora and fauna, attempting to decipher the behavior and lifestyles of these long-extinct creatures. Joining them is Dr. Ian Malcomb (Jeff Goldblum), a cynical and sassy mathematician whose job it is to point out how any system will deteriorate and give way to the inexorable force of entropy. 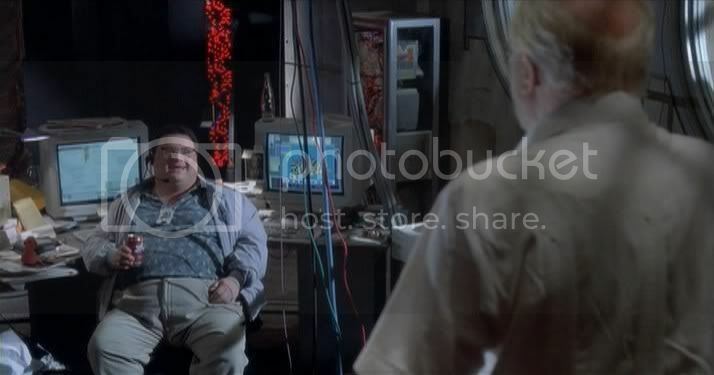 As one might guess, the park’s systems soon go down due to the nefarious dealings of systems analyst Dennis Nedry (Wayne Knight). Dinosaurs get loose and wreak havoc all across the island, leaving the skeleton crew (including a chain-smoking Samuel L. Jackson) to ward off waves of Velociraptors and a terrifying T-Rex. Much of the movie remains thrilling after multiple viewings, including the awe of witnessing the ground-shaking dinosaurs for the first time. Spielberg’s camera floats around, then up, gawking at the magnificent beasts. John Williams’ score is exciting and evocative, though occasionally overdone and unnecessarily utilized. There are plenty of tense and scary moments, particularly involving raptors inside the park’s buildings. The special effects were groundbreaking at the time, combining computer imagery with some animatronics, and are still effective today. Some of the flaws become more apparent as I rewatch the film and grow older. Such a suspension of disbelief is required that, at times, it seems impossible to overcome. 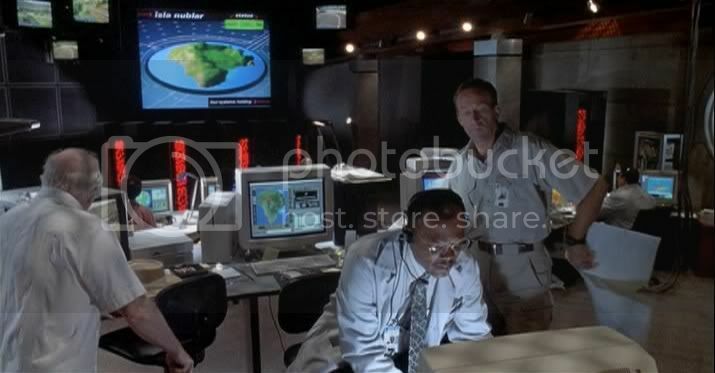 I don’t mean the actual creation of the dinosaurs (this is science fiction, after all), but rather the park operations. The scale and impossibility of the logistics are mind-blowing and occasionally distracting. The characters, too, are broadly drawn and generic. Each one is explained as they are introduced and the rest of the film involves them living up to their stereotype. Only Dr. Grant is afforded an opportunity to be somewhat fully developed as he learns to take care of Hammond’s grandkids (Ariana Richards and Joseph Mazzello), though their relationship is a bit simplistic. It could definitely be categorized as one of Spielberg’s “father issues” plot lines. 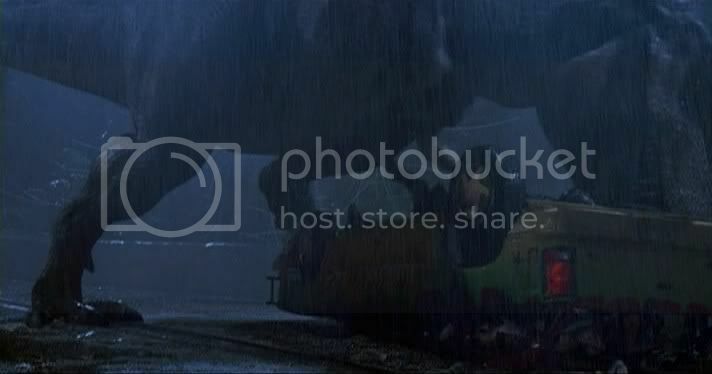 I will probably always love Jurassic Park, in both its written and visual forms. The nostalgia factor is too strong, the story too much fun, and the sense of wonder and terror too great for me to ever fully discard it. The movie is not without its flaws, but remains an entertaining and exciting film. It is popcorn entertainment complete with a few laughs, a few thrills, a few chills, and some memorably imaginative moments, even if it may never be great art. This entry was posted in 3.5 pirate flags, 3.5 stars, J, Movie Reviews, Pirate Flag Rating, Star Rating on April 4, 2010 by Tim Irwin. 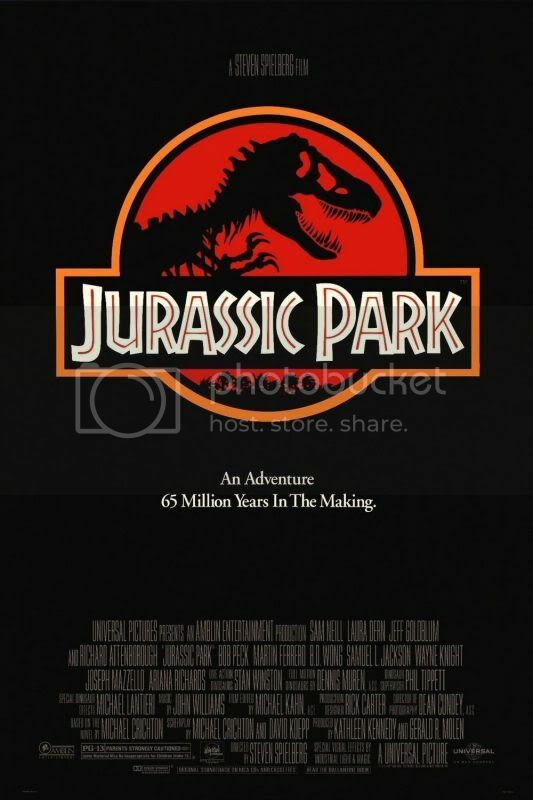 As for Jurassic Park, I think that it is very much a meat and potatoes Spielberg flick. The lack of character depth is the most serious problem with any of his movies, though it does some good in accommodating fast-paced action and themes that can resonate with nearly anyone. My brother absolutely swears by this movie, and I think that nostalgia plays such a huge part. I think my favorite Spielberg movie is Hook, easily. Also, I went to visit his childhood home, which is located in Cincinnati, about half a year ago. Nothing special, but it was weird to see a place where somebody that big-name spent some time growing up.